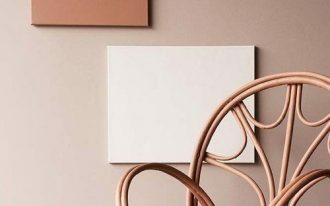 Details on the bathroom can make a bathroom more interesting. It gives more to look at. It gives us more to peruse and enjoy. If the bathroom is neutral or minimalist, bathtub with details can brighten the room and make it popped up. And if the bathroom is already patterned, bath tub with details will complete the look and make it more interesting. 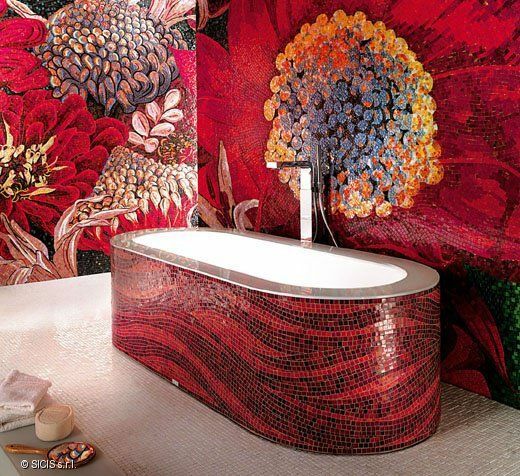 Details on the tub can be gained with mosaic. Mosaic is like one of the best things to make details. The tiny tiles are so beautiful when it’s combined together. 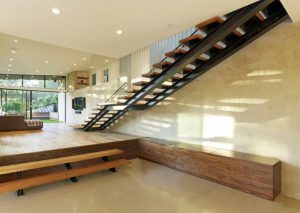 And this one here can show you even the simplest arrangement can brings out beautiful look. This one is another tub with mosaic tiles. The silver mosaic is combined with golden one that arrange flower pattern on the side of the tub. 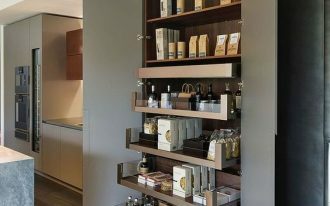 It matches the golden and dark brown patterns on the wall which are also made from mosaic tiles. 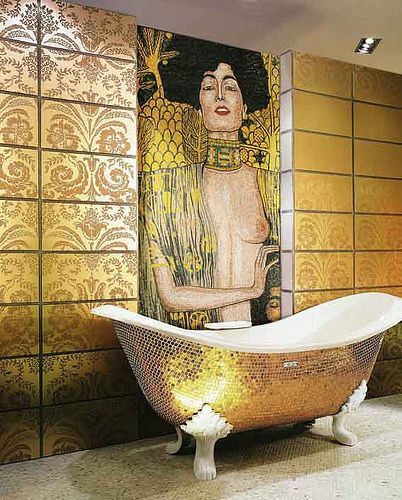 Golden tub can be really fascinating when it is gained by putting golden mosaic tiles on the tub. 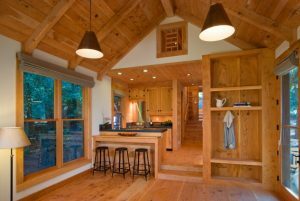 The light that is received and cast back to the room is unique and has its own charm. 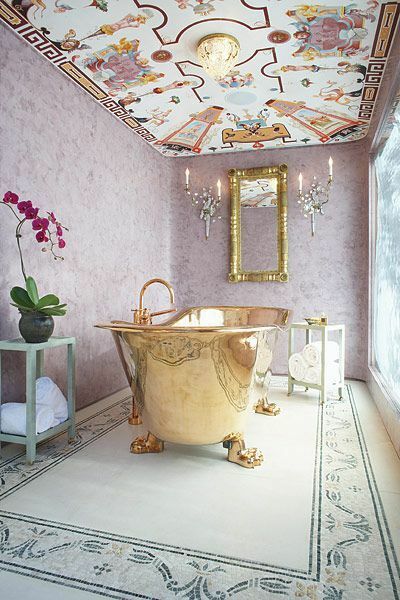 The golden wallpaper with big painting match the tub perfectly. A beautiful picture can be added to the body of a tub to make it more fun. 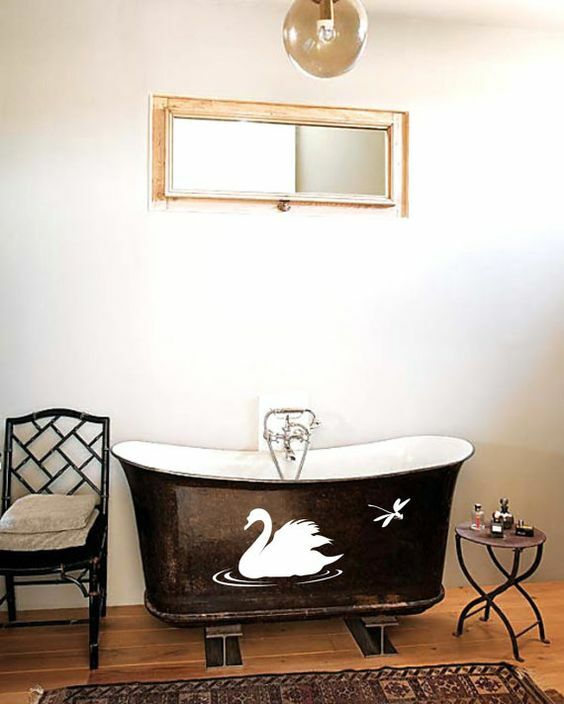 This one here ha a white swan and dragonfly on the body of a dark tub that makes the painting looks even more pronounced. 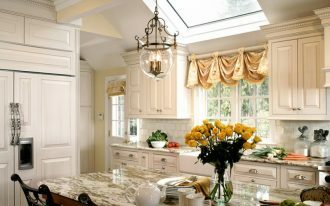 In a white tub, adding a line of accent can make the the tub more interesting. 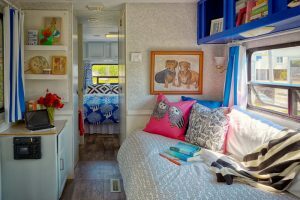 This one here adds a blue line of mosaic tiles on the rim of the tub and it makes the tub more cheerful that contrast the classic claw foot on the bottom. The clash makes it interesting and fresh to look at. 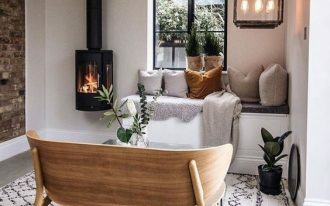 Another way to create an interesting space with white tub is choosing a white tub that allows you to have this kind of beautiful patterns of wrought iron. It brings out a pretty quality in the white tub. This one here shows its beauty through the golden color on the entire surface and from the frame outside the tub. 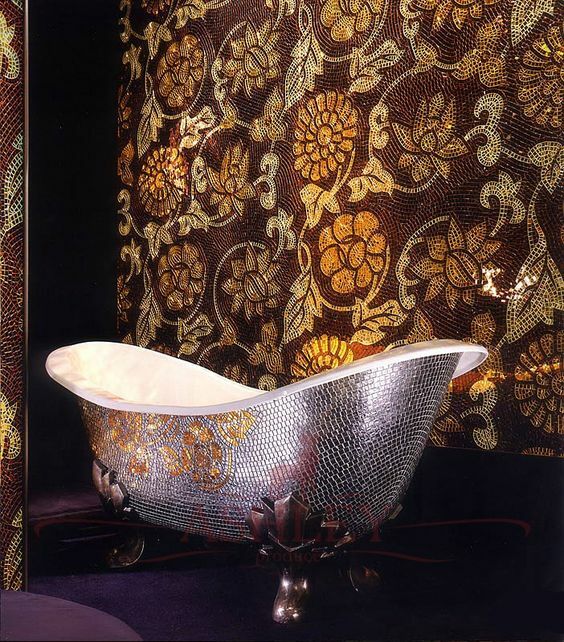 The frame itself is in irregular arrangement of fish scales that beautifully wrapped the tub. This one here has an interesting combination of gold and black color seen on the bubbles latched on the body. 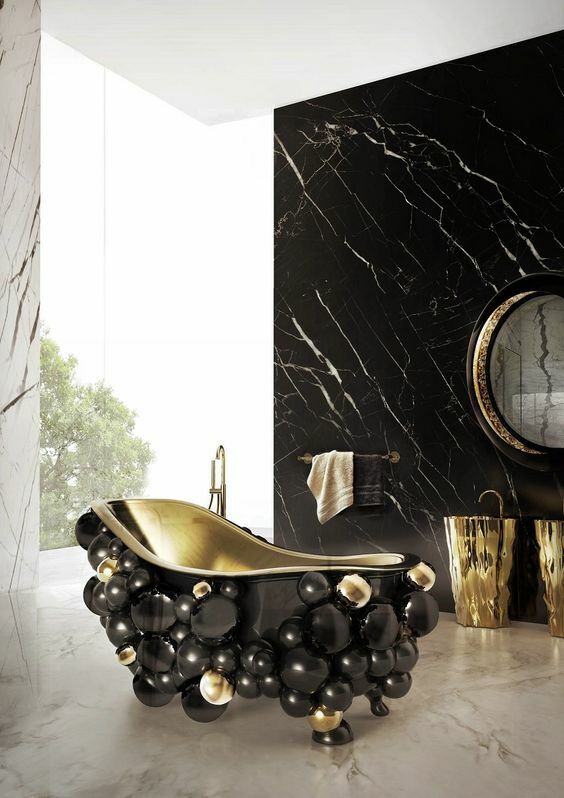 While it is mostly black on the outside, on the inside, the tub gives golden look and make the overall look graceful. 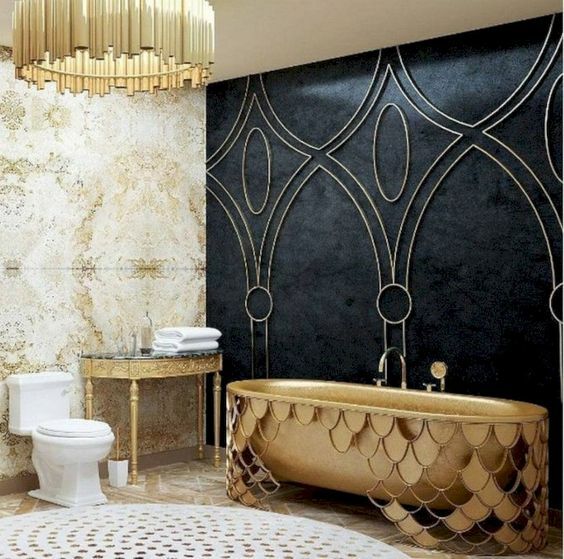 This one here is for those who love gold and wants to make the bathroom looks absolute luxurious. This tub looks like it has been gilded in gold from the faucet to the claw foot. 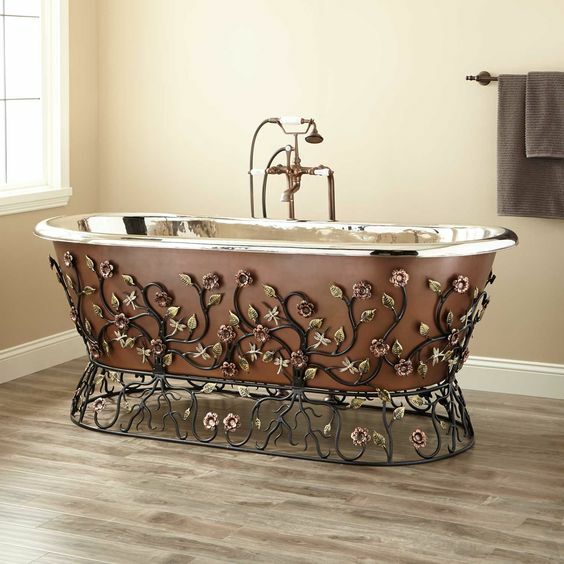 This beautiful copper bathtub has been pretty only with the copper color. 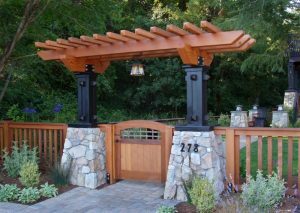 However, it also continues to be more beautiful with the ornate wrought iron frame on the outside with pink flowers and leaves.